MBTA: Winchester is accessible through the Lowell Commuter Rail Line out of North Station with stops at Winchester Center and Wedgemere. 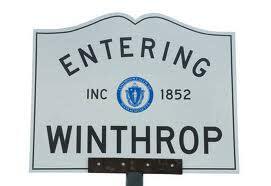 Affluent Winchester is located about 8 miles north of Boston and is named after Colonel William P. Winchester, a generous donator to the town’s first Town Hall. The town offers its citizens and visitors an array of events such as Family Farm Nights at beautiful Wright-Locke Farm and a weekly Farmer’s Market in the Town Common. Winchester is home to many notable individuals such as cellist Yo-Yo Ma, president of Harvard University and Ambassador to Britain Edward Everett, and Aerosmith’s Brad Whitford.